It’s time to catch up on those comics you’ve wanted to read from Dynamite but haven’t had a chance. The publisher is having a 50% off sale over at Comixology with everything released prior to December 12th, 2017 on sale. That means The Shadow vs Batman, Bettie Page, Dresden Files, James Bond, Agent 47 — and KISS: The Demon #1 by Amy Chu, Eric Burnham and Eman Casallos. 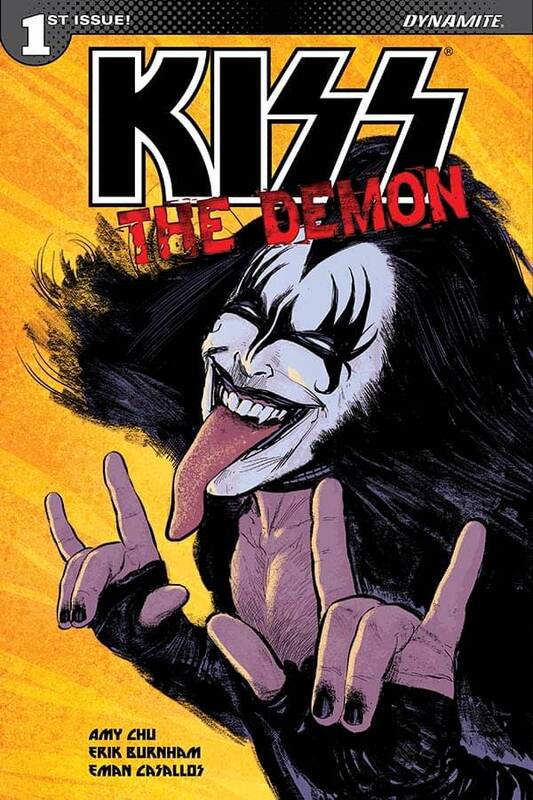 Dynamite started with an ongoing KISS series written by Amy Chu and then came the prequel series, KISS: The Demon, focused on the fictional creation of bassist Gene Simmons. KISS has had a long line of success in the comic industry starting all they way back in the ’70s with their appearance in the pages of Marvel Comics. They would also spend time with Image doing books with Todd McFarlane and at Dark Horse before signing their most recent deal with the New Jersey-based Dynamite. This issue has a cover by Kyle Strahm.